The Bose SoundWear Companion is a wireless wearable speaker that rests comfortably on your shoulders and moves with you as it delivers deep, clear sound. How? Through a combination of acoustic technologies and unique design. Two 11-inch waveguides in the neckband push air to opposite ports for deep lows—while proprietary digital signal processing cancels out bass for anyone nearby. 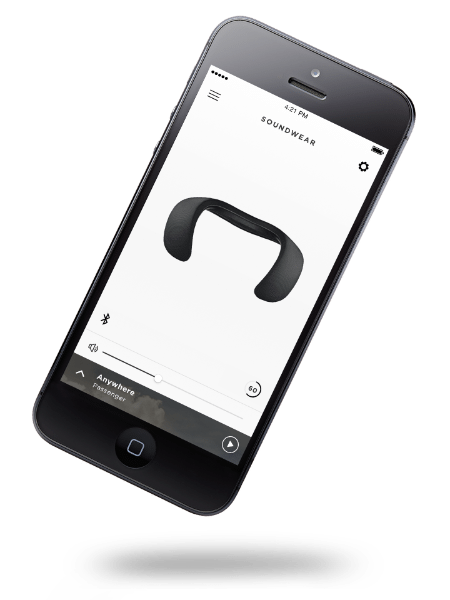 This technology really immerses you in surprisingly deep, clear sound for a wearable speaker, with two 11-inch waveguides in the flexible neckband. The rechargeable, lithium-ion battery gives you up to 12 hours of play time, and a quick 15-minute charge gets you another 2.5 hours. One of the things I hate about headphones is the realization that you are pretty much isolated from the world. Have you tried to speak to a 13 year old listening to music with headphones? The best part of the design is that you are no isolated. The wearable speakers form-fits your shoulders in whatever position you leave it, you’ll hardly know you’re wearing it. With your ears free, you’ll be aware of what’s around you even as you enjoy music. The design makes conversations over the phone feel as natural as they do in person, plus calls stay clear when it’s windy or noisy. You can so easily stay connected to your music…and everything else you want to hear, including the world around you. Listening to that amazing Bose sound is fantastic for music any time. The great part about the SoundWear wearable speaker is that it’s just not all about the sound! It’s so much more than that. You can access your phone’s Siri or your Google Assistant with the press of a button, or receive discreet call notifications with personalized vibrations. Setup is fast and easy withBluetooth®. Simply voice prompts make wireless Bluetooth® pairing simple. Simply download the Bose® Connect app to personalize your experience, plus easily manage Bluetooth connections. The app paired with Bluetooth really allows you to personalize your experience in a clear and easy way. Not only is the tech cutting edge, but the design is as well. It’s all about comfort and really enjoying your experience using the Bose SoundWear wearable speaker. 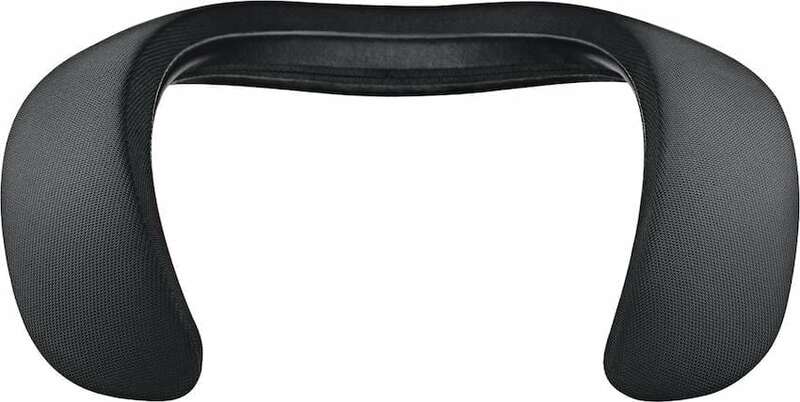 The ergonomic neckband is coated with soft-touch silicone, and so comfortable you can wear it all day long. The removable, black four-way stretch cover that adds a layer of protection without affecting sound. Pus, the sweat- and weather-resistant design (IPX4-rated) keeps you worry-free if you’re caught in the rain. There are even optional fabric covers in additional colors sold separately so you can really customize how you like. Ok, so I totally NEED one of these in my life. What an awesome way to listen to my favorite tunes. I may have to look into this further. It will be handy to have while working outside, or while working on my blog! I better play upbeat music with it or I might end up falling asleep at my desk it looks so relaxing, sort of like the travel pillow you bring on the plane! I think this is wicked. Would love one of these for myself while down in my office working. So cool! Perfect timing as this would be perfect for my hard to buy for husband his birthday is coming up in a couple weeks. Wow. This is the speaker of all speakers! I would love to have that. I can’t work without music and this wearable speaker would be awesome. No wires, no bulky headset, and very portable! This sounds super cool! Would love to check it out. I would love to check it out! Sounds so cool! This looks like an interesting way to wear your headphones. Cool design and I like the hi-techness of them. We love listening to music in our home and our kids always have a pair of headphones on! This looks like a great setup for music!